The CD (which was distributed with the books from 2005 to 2009) had two major sections: (1) the BTS Reading Planner software and (2) various advertising elements. The benefit of the CD is very limited today since that the on-line version of the software was released in 2009. The benefits are restricted to the advertisements included on the CD. First, the BTS Reading Planner software was on the CD and was originally designed for Windows. The CD-based version, which is no longer supported, was replaced with the on-line version. The on-line version offers more universal compatibility to all computer users with Internet access, including many smart devices. Previous owners of the CD can use the on-line version for free with their 12-character product code. Second, the CD had a section of advertisements in four parts---three of which were in PDF form and are currently available on this website. The forth advertising component is also available on-line, but in a modified form. 6-Minute Multi-media Presentation with about 40 Minutes of Subparts. The main video is here. 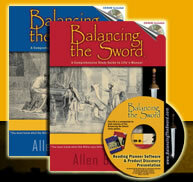 The subparts are not available on line, but the expanded written version is on the various pages of www.BalancingTheSword.com, especially under About the Books. 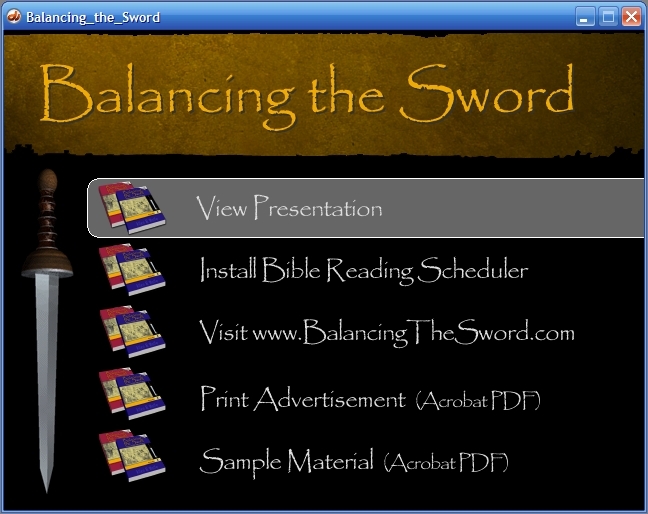 The multi-media presentation on the CD offers a compressed overview about the Reading Planner ® software. Finding this segment is easy. To view the media presentation or advertisements, insert your CD into a compatible PC and the following menu appears. Click on the first option: View Presentation. 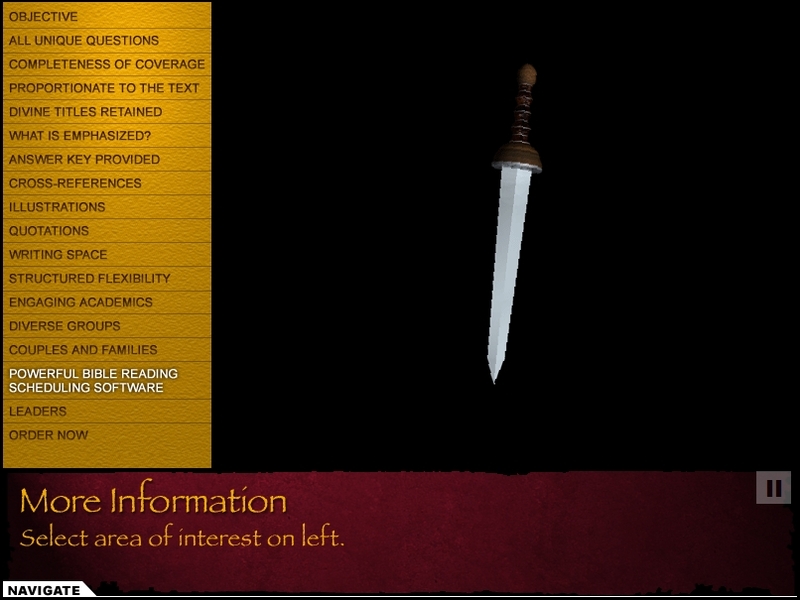 A six-minute overview begins which describes the Balancing the Sword books. You can watch the entire presentation or go directly to the segment which describes the software by hovering over the Navigate tab and clicking on Learn More. 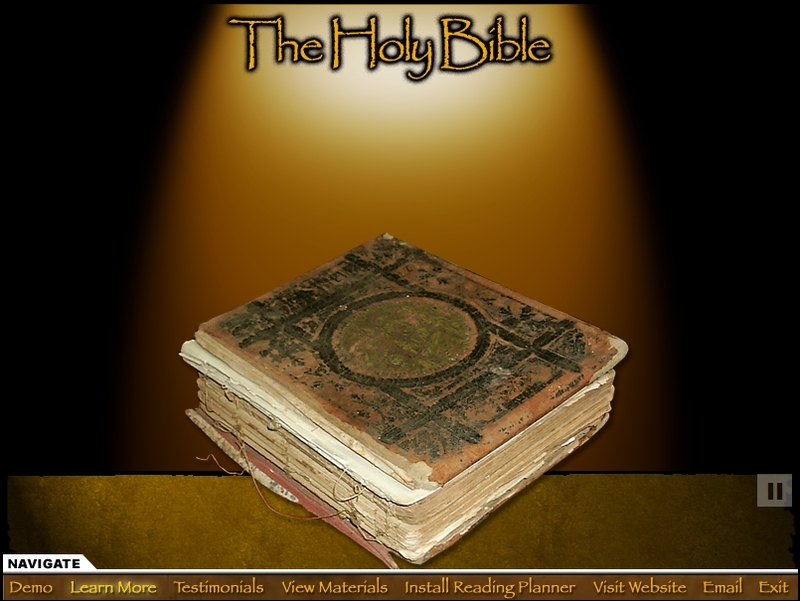 Lastly, select Powerful Bible Reading Scheduling Software. The software is now an on-line product! Click here to register or use the software.